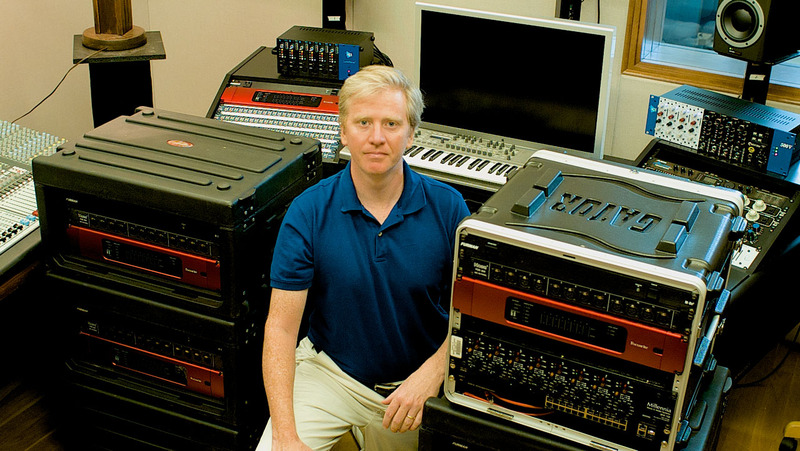 John Thompson, Associate Professor, Music Technology, at Georgia Southern University, pictured with several of the program’s Focusrite RedNet units. Photo courtesy of John Thompson. © 2013. The RedNet devices, which were purchased through Sales Associate Jim Swain at Sweetwater, are central to Thompson and Georgia Southern University’s unique and ambitious program achieving its goals. The University's hallmark is “a culture of engagement that bridges theory with practice,” the school’s website explains, and that’s exactly what the Music Technology’s program’s adventurous agenda does. Photo Caption: John Thompson, Associate Professor, Music Technology, at Georgia Southern University, pictured with several of the program’s Focusrite RedNet units. Photo courtesy of John Thompson. © 2013.